Are Dental Implants Worth It For Grand Rapids? 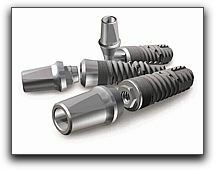 Dental implants are extremely versatile and can be used in a variety of configurations. One dental implant can replace one missing tooth. A series of implants can replace more than one tooth or anchor a dental bridge. Implants can also act as a sturdy base for partial or full dentures. We encourage our Comstock Park, Grand Rapids, Belmont, Walker and Rockford MI. patients to call 616-827-7019 to schedule a visit to discuss your dental goals and see if you would be a good candidate for dental implants. If you are missing one or more teeth, you owe it to yourself to get a free consultation with Dr. Bruce Stewart and Dr. Eric Hull.